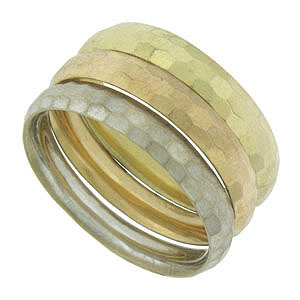 A trio of yellow, red and white 14K gold bands form this wonderful set of stackable wedding rings. 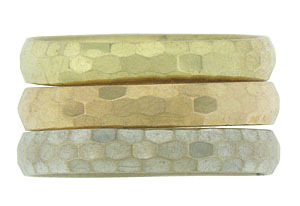 The surface of the bands is engraved with a subtle honeycomb pattern. 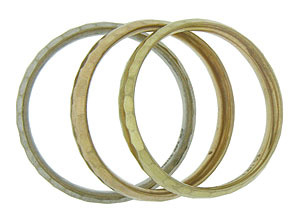 Each band measures 2.91 mm in width. Circa: 1960. Size 5. We cannot re-size.